Barbecuing. 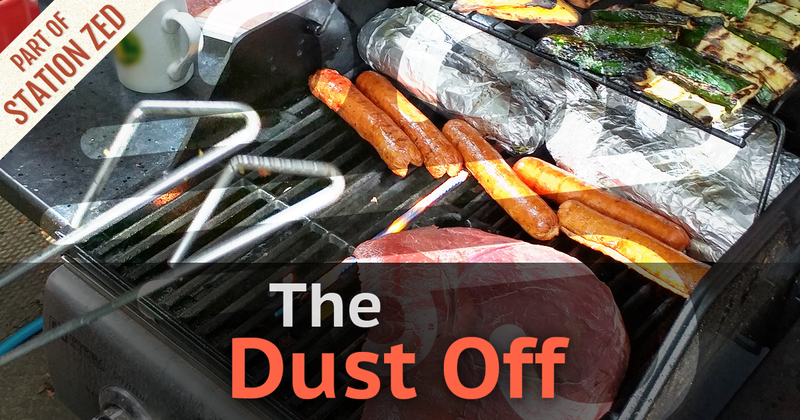 On this week’s episode we take you for a roller-coaster ride of flavour and emotion as the guys dust off throwing shrimp (well, more like various meats and vegetables) on the ol’ barby! Marvel as Steve struggles to define the term “BBQ”; tremble at Jake’s description of the mysterious pet crematorium in his hometown; attempt to change the conversation as Pat awkwardly expresses his feelings in the middle of a grocery store aisle. All this and more, tonight on The Dust Off!